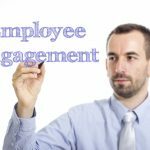 Employee engagement in the workplace is critical for any organization, since at the end of the day, everybody wants to leave the office feeling that they have contributed in a positive manner. Developing a sense of leadership among the employees is the best way to keep them inclined towards work, more than anything else. If there is no proper strategy behind implementing a certain project (whether it’s hiring new employees or launching a new product), or a set of certain rules to achieve the desired results, you can never expect a profitable outcome. Your resources determine how well your business will perform, and this can only be achieved by mobilizing the employee body to execute the organizational strategies as a team, rather than individuals. The idea is to avoid creating a divider between the workers of same career level. 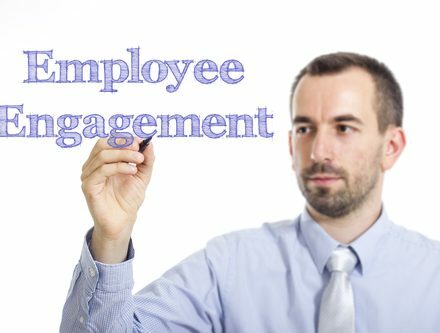 There are a few useful ways to boost employee engagement, in order to encourage achievement of shared goals. A centralized interaction among the employees led by HR department is not something that will help your productivity. Each organization has a number of sub-units driven by different teams, and each team has a leader who is responsible for managing the individuals under his authority. If each of these leaders carries out their role perfectly, everything will flow smoothly. You need to draw a straight line between what needs to be strategized, and what is expected to be delivered from every department of your business. To make more sense, you should translate the relevant key result areas of the policy with respect to what they imply for every team. 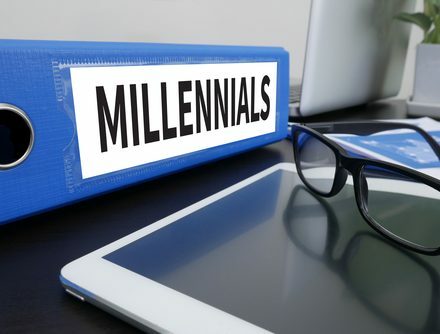 If delivering the best possible service to a loyal client is the primary objective, it must be a critical part for all the human assets in an organization, and their roles must be explained in descriptive terms. You should have a good idea about the best possible resources you have, and which employees can fit the purpose ideally for the role required. This will help you a long way in engaging your workers towards doing something that they enjoy. A sense of job satisfaction counts more than trying to achieve short term results. Tracking results of each individual is the best way to encourage their active involvement in project-related work. For example, a sales department employee has to build a strong relationship with the client, and measure it with time. Similarly, a functional consultant is expected to gain trust of the clients. Focusing on these areas helps a lot in employee engagement towards accomplishment of the desired objectives. Leaders are accountable for reviewing the performance cycle of an employee, and they should sit down face to face with each of the team members to provide necessary feedback on the results achieved. Reward them for good work, but at the same time, define a strategy to close any performance gap that may have occurred. This will make them feel more wanted, and it will directly reflect on their level of commitment. If you want to learn more about employee engagement, do check out our workplace culture posts.